The latest from the folks at cartonLAB (previously here, here, & here) is their one-third of the Mustang Gallery’s three-part exhibit installation Diagrama de Venn (Venn Diagram)—in Alicante, Spain—which consists of a cumulative and collaborative process between three groups of artists: cartonLAB, street artist Rosh, and Erre Gálvez. Each artist will take their turn inhabiting the gallery space with a work that intervenes, interacts, and adds to, the previous artist’s installation, each in their own unique style. In addition, for each installation, the public was (and will be) enlisted to help with the production and installation aspects. 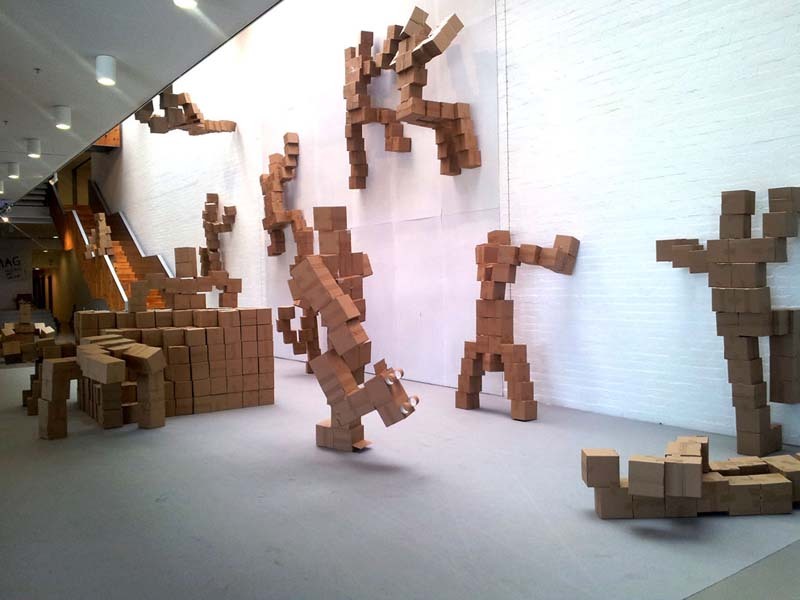 cartonLAB, along with the help of graphic and package design students, among others, made giant cardboard box people, climbing the gallery walls, lying on the gallery floor, as well as sitting and flying through the space. You can see in the bottom two photos Rosh’s work that followed; spray-painting some of the boxes and reconfiguring them into piles and graffitied walls. We’ll have to wait and see what Erre Gálvez will come up with toward the end of the month with his typographic(?) take. I really like the collaborative concept behind Diagrama Venn. It’s got a bit of a Layer Tennis feel, only in 3D. 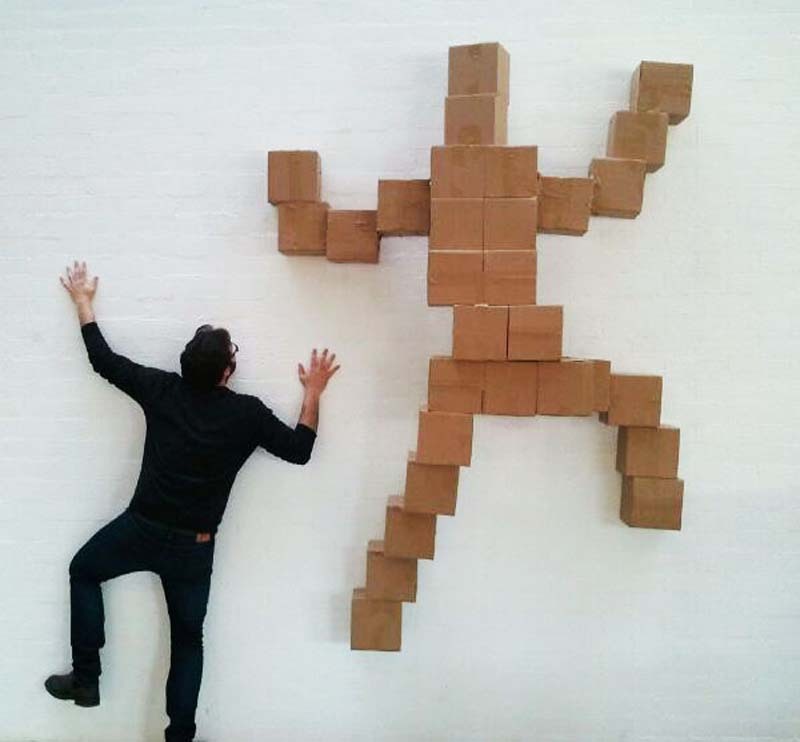 This entry was posted in Architecture, Art, Fun, Graphic Design, Pop Culture, Street Art, Stuff We Like. Bookmark the permalink.